I'm starting a new thread on significant breweries in Kansas City just so people are aware they were once here. The two primary locations for beer production in Kansas City in the early days were the River Market and the Crossroads. Imperial Brewing Company (post-prohibition) Baltimore and SW Boulevard, Crossroads; This was a separate and different company from the original Imperial Brewing Company bought by KC Breweries Co. They brewed Imperial Ale and Imperial Draught. The company was sold to Griesedieck Bros. Brewing Co. of St. Louis in 1938, and Imperial ceased to exist. F.H. Kumps Star Ale Brewery, 14th and Main, Downtown (later Heim and Bavarian brewery sites), now site of Mainstreet Theatre (Kumps started out as the Kansas City Brewery at Third and Oak in the late 1850s, and later was called Third Street Brewery and then reverted back to being called Kansas City Brewery, and even later Kansas City Breweries until buyout by Clark and Kump in 1875). This brewery was no relation to the Kansas City Breweries Company later formed by Heim and Rochester breweries merger. The George Muehlebach Brewing Company (which later became the Schlitz Brewing Co.), ran from Grand Avenue between Third and Fourth streets southeast to NW corner of Missouri and Oak in the River Market. Most of the buildings in that area were part of the brewery. I'm assuming the recently demolished buildings were as well. 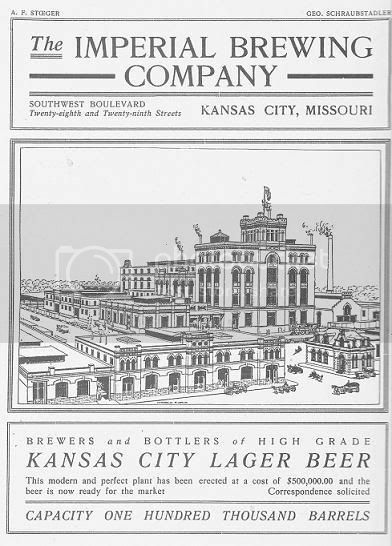 It was among the larger brewery complexes in Kansas City. That part of the River Market around the intersection of 3rd and Grand used to be a vast brewery district engaged in wide production of beer and other beverages. Around that intersection were the Muehlebach (later Schlitz); Phillip Best Brewery (later Miller and then Pabst brewing companies) First St. between Main and Delaware; Val Blatz Brewing Company, Walnut and First Street; Green Tree Brewing Company, NE corner of Third and Grand; Peter Schwitzgebel's Brewery, Fourth and Locust; John Lenhard's Brewing Company, NE corner of 5th and Locust. 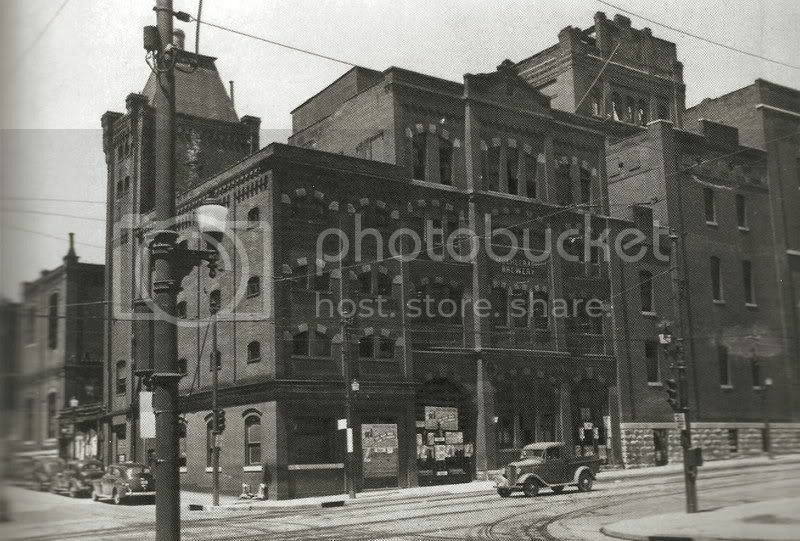 The Kansas City Brewery (later called the Third Street Brewery then Kumps Star Ale Brewery was at Third and Locust). 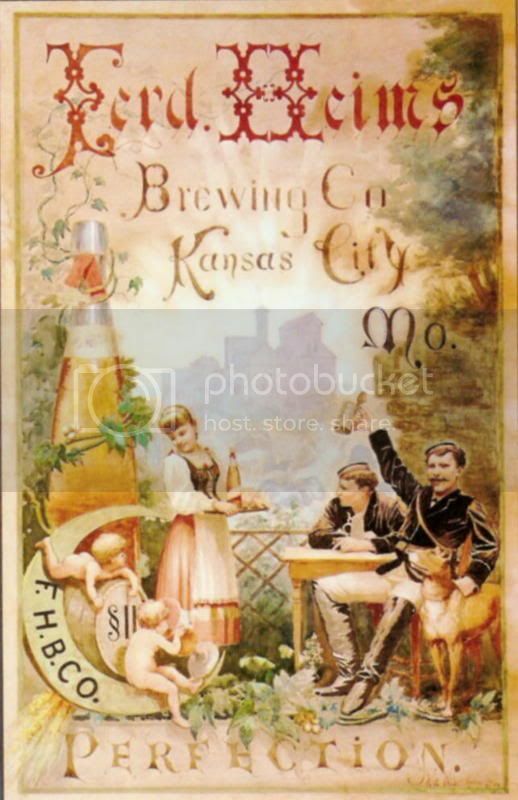 It finally was called Kansas City Breweries Co (not affiliated with Kansas City Brewing Company that came years later after the merger of the Heim and Rochester brewing companies, and the buyout of Imperial). I would guess that not all operated simultaneously in the River Market though, and several operations and buildings were bought up by adjacent brewers. 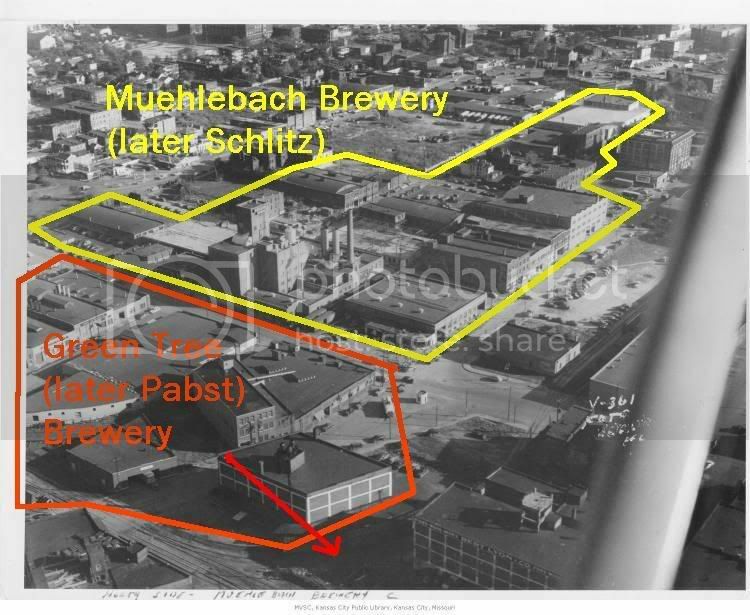 I think the Muehlebach/Schlitz brewing companies eventually acquired all the adjacent brewer buildings to expand their complex from 3rd to Missouri and Grand to Oak. Last edited by FangKC on Sun Jan 20, 2008 6:05 pm, edited 1 time in total. 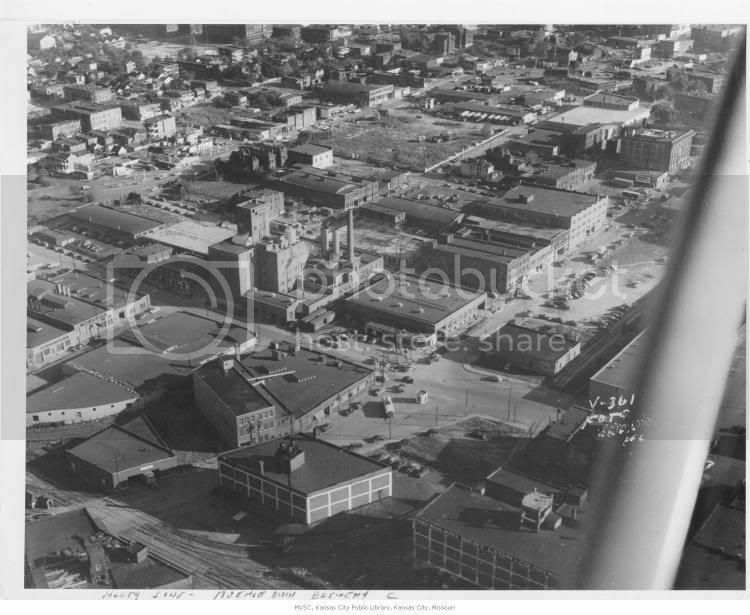 Here's an aerial photo depicting the location of the Muehlebach and Pabst breweries in 1940. Muehlebach also operated another brewery at 18th and Main at one time. It's where the former TWA headquarters building is now. The J.D. Iler Brewing Company plant at 20th and Washington in the Crossroads. 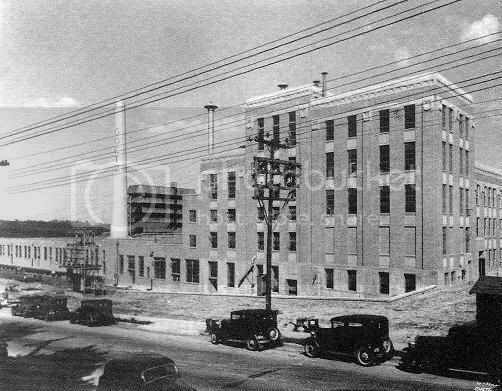 The building later became part of Rochester Brewery and then a warehouse and plant for City Ice. Last edited by FangKC on Sat Jan 19, 2008 12:40 pm, edited 1 time in total. The Goetz Brewery at 7th and Mulberry in the West Bottoms in 1915. Last edited by FangKC on Sat Jan 19, 2008 12:41 pm, edited 1 time in total. The Lemp Brewery Building at 20th and McGee. The building remains and is a law firm. A horse-drawn wagon carrying cases of Lemp beer. Photo: 1910. 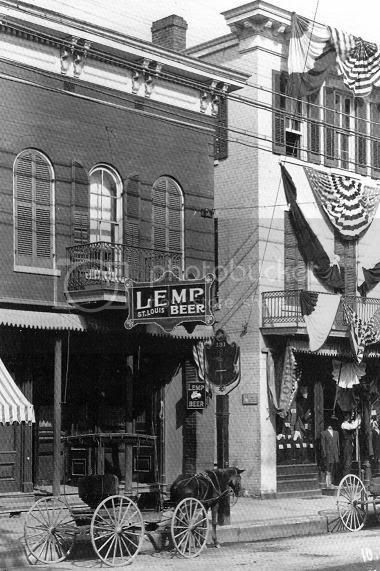 A Kansas City tavern serving Lemp Beer. Location not known. Last edited by FangKC on Mon Jan 21, 2008 7:14 pm, edited 1 time in total. The Goetz Brewery located at 17th and Indiana. It later was acquired by the Pearl Brewing Company. The building has been demolished. Last edited by FangKC on Mon Jan 21, 2008 4:55 pm, edited 1 time in total. The Ferdinand Heim Brewery in the East Bottoms at Chestnut and Guinotte. Ferdinand Heim in a 1907 photo. The Heim residence at 320 Benton. The house remains. The Heim Brewery administrative building. 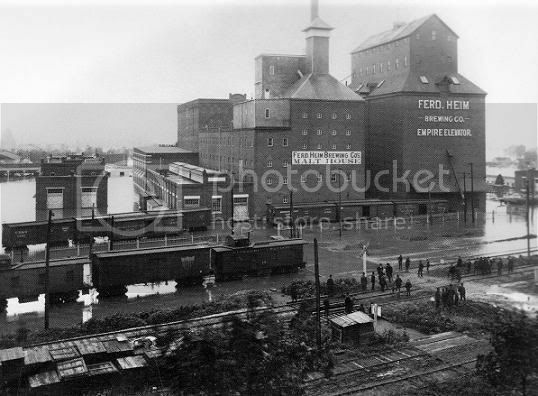 The Heim Brewery during the 1903 flood. Another view of the Heim Brewery pumping out brewskies and the first Heim-owned Electric Park in the background. The Heim Brewery firehouse. The building remains at 2703 Guinotte. A rendering of the Heim Brewing Co. in the East Bottoms. Last edited by FangKC on Mon Jan 21, 2008 8:12 pm, edited 1 time in total. Falstaff delivery trucks in 1955. The Lemp Brewery distributed Falstaff. Last edited by FangKC on Sat Jan 19, 2008 10:43 pm, edited 1 time in total. Wow, never knew KC had such a history as brewing center. I suspect we were a victim of consolidation in the beer industry...for a while it was just Miller, Coors Anheuser Busch (and basically still is from a commercial point of view). So, is Boulevard our only current commercial brewery? Yes, Boulevard is our only significant brewery. There a several brew pubs around the area that sell to their bar patrons and in some liquor stores. Last edited by FangKC on Sat Jan 19, 2008 12:45 pm, edited 1 time in total. The Muehlebach Brewery on the NW corner of 18th and Main. The former TWA headquarters building is on the site today. Last edited by FangKC on Sat Jan 19, 2008 12:46 pm, edited 1 time in total. 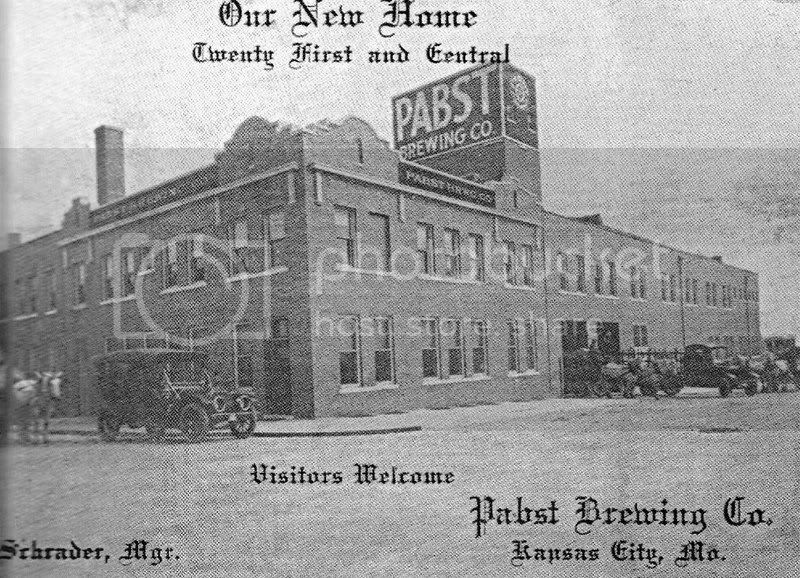 A rendering showing how the Pabst Brewery appeared in the River Market. 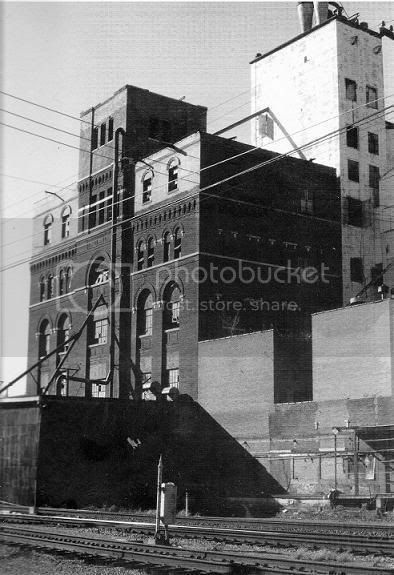 A photo of the Pabst Brewery at 3rd St. and Grand. The site is now a parking lot and the KCATA transit hub. Last edited by FangKC on Sat Jan 19, 2008 12:47 pm, edited 1 time in total. FangKC wrote: The Muehlebach Brewery on the NW corner of 18th and Main. The former TWA headquarters building is on the site today. Is Muehlebach beer extant? It would be kind of cool for some enterprising brewer to re-establish one of these old KC brands. Fang, Historic KC Foundation is always open to people with ideas for new tours. I don't think KC has a tour of our breweries, but it would be fun to start one. Every Spring and usually Fall they do a bus tour, I might suggest it if I go to the meeting in a few weeks. Highlander wrote: Wow, never knew KC had such a history as brewing center. I suspect we were a victim of consolidation in the beer industry...for a while it was just Miller, Coors Anheuser Busch (and basically still is from a commercial point of view). So, is Boulevard our only current commercial brewery? Quite aside from any industry consolidation trend, wouldn't prohibition in the 1920's-30's have put an end to a lot of these companies? Guess it depends on the years in which they did business. Over time, smaller breweries were acquired by larger breweries, went bankrupt, or lost out to competition. During Prohibition, many breweries shifted to producing "near-beer" and other types of beverages like ginger ale, colas, flavored drinks (orange, grape, lime), root beer, etc. 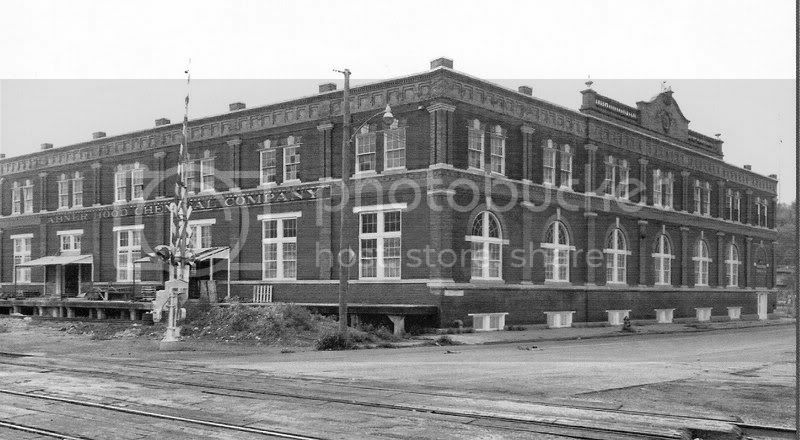 Imperial Brewery, which later was called the Rochester Brewing Plant B after purchase by Kansas City Breweries, was located at 28th and Southwest Boulevard. The site brewed beer and near-beer beverages for 17 years before being converted to a flour mill operated by Seaboard Milling Co. 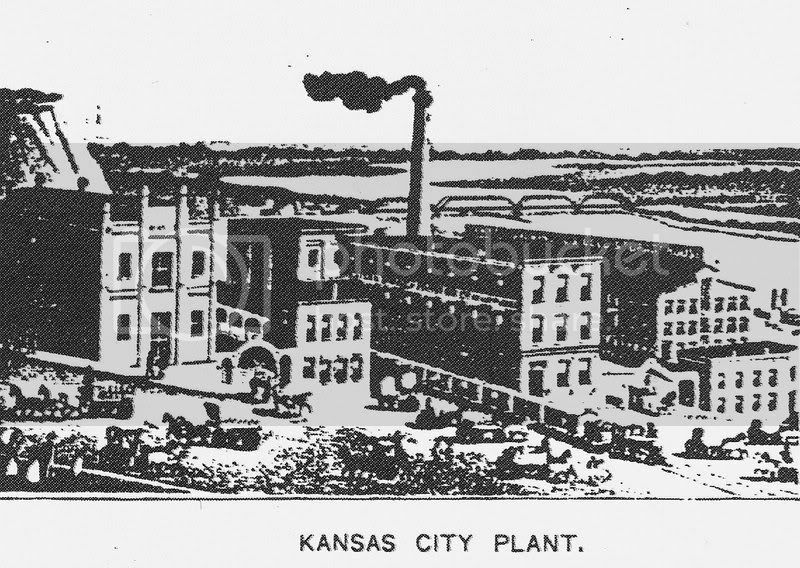 The plant operated under the Imperial Brewery name for only three years, and the remaining 14 years under the Kansas City Breweries Company. The Imperial Brewery was formed by George Schraubstadter and a group of saloon keepers in 1901. The address was 2825 Southwest Boulevard in what was then called Walruff's Grove. The building was constructed by contractor Ludwig Breitag. The cost of construction of the building was $500,000 with a production capacity of 50,000 barrels. Brewing began in April of 1902. A later expansion added a two-story administrative building and a two-story bottling works. The brewery's two brands were lager-style beers called Mayflower and Imperial Seal. In 1904, an ice-making plant was constructed. 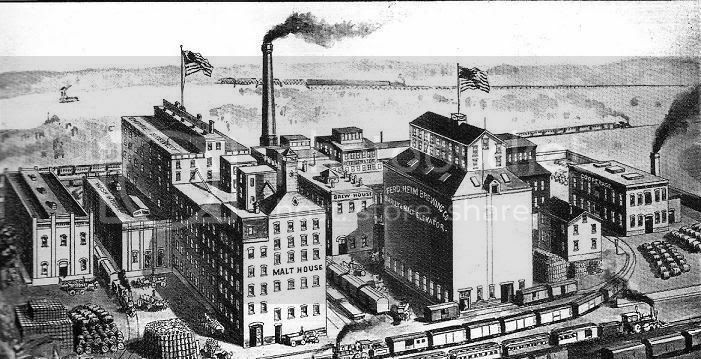 In December of 1905, The Ferdinand Heim Brewing Company acquired the Rochester Brewery (formerly called J.D. Iler Brewing Company) at Chestnut and Rochester in the East Bottoms. 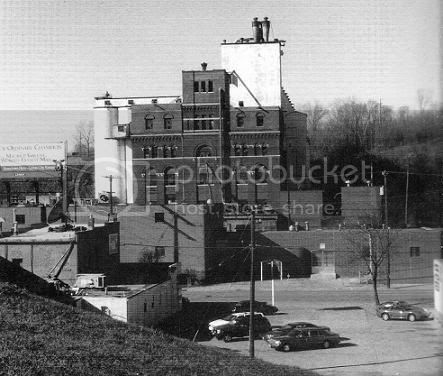 The Heim Brewery was located adjacent to the Iler/Rochester brewing plant in the East Bottoms off of Chestnut Trafficway. The site was also location for the first Electric Park operated by the Heim Brothers. A new company was formed called the Kansas City Breweries Company. The new company also purchased the Imperial Brewery at auction, after Imperial had several years of financial problems. 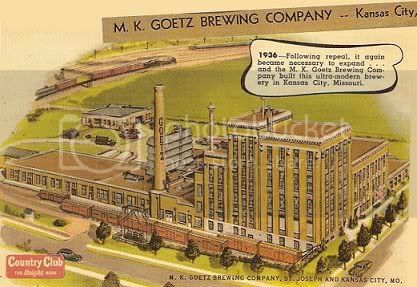 This consolidation was considered the single most important event in the City's brewing history since the merged company became Kansas City's largest brewer. The newly consolidated company made improvements at the Imperial plant, and the name was changed from Imperial branch to Rochester Brewing "B" Plant. In 1911, the consolidated breweries produced 338,332 barrels of beer. The output consisted of three primary brands: Heim Special, Rochester Bohemian, and Old Fashioned Lager. The Mayflower and Imperial Seal brands ceased to exist. Old Fashioned Lager became the company's staple brand. In 1911, a non-alcoholic "near-beer" was first produced called "Puritan" and was marketed mostly in Kansas. During Prohibition, the plant produced near-beer and soda water. Ads at the time recommended the 0.5 percent Puritan "near-beer" for consumption as a refreshing and invigorating beverage for every member of the family. The ad depicted a small child enjoying the beverage. 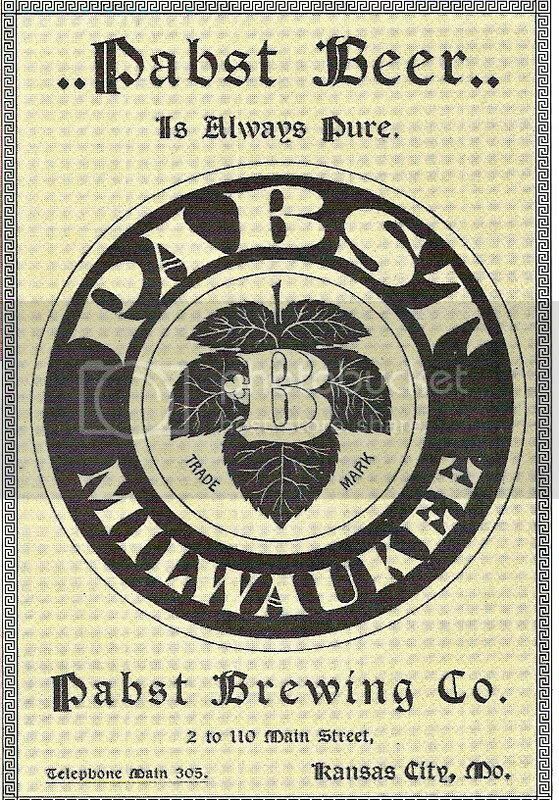 During Prohibition, other local breweries also sold a version of the cereal near-beer beverage: Lemp made Cerva; Pabst sold Happy Hoppy; Muehlebach made Mulo; Anheuser Busch made Bevo, among others. In 1919, the office building and storage house were sold to an oil company, and later the remaining brewing property west of Turkey Creek was sold to Seaboard Milling Company. The flour mill began producing up to 1,200 barrels of flour daily, and blended another 1,200 barrels daily. 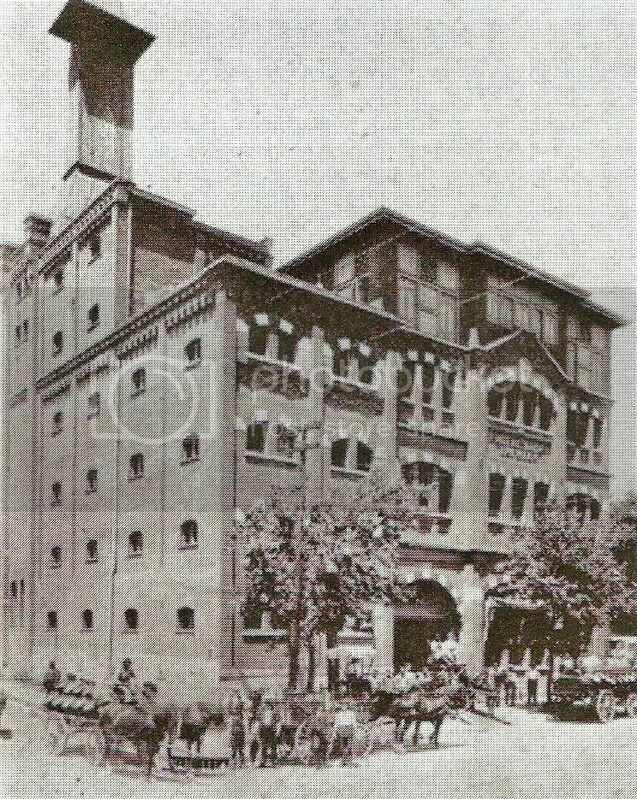 An illustration of the Imperial Brewery from an advertisement from 1901. Photos of the former Imperial Brewery. The smaller buildings in the foreground were constructed by Seaboard Milling. 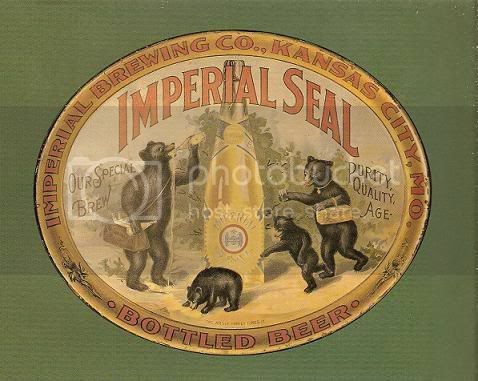 The label for Imperial Seal brand beer produced by Imperial Brewery.